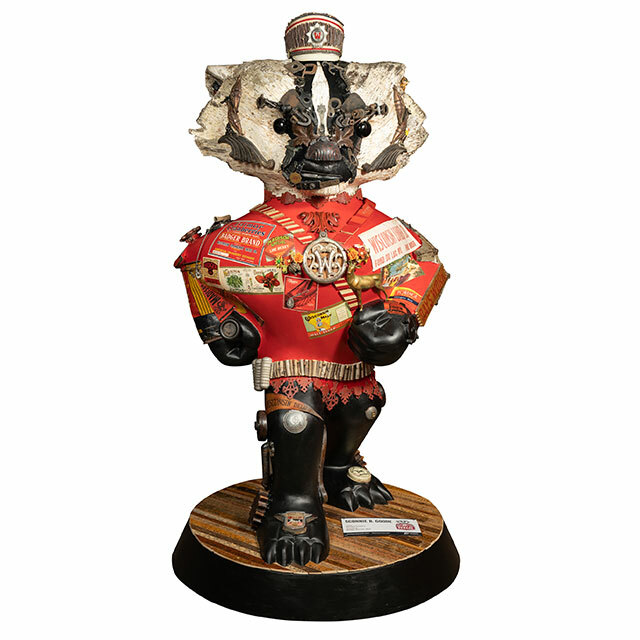 Sconnie B. Goode is an unusual mix of three areas — my interest in vintage advertising and lettering (paper, fabric and tin), steampunk sculpture (metal and wood) and rustic Adirondack furniture (birch bark and twigs). As I began gathering my materials, I noticed a strong theme of town names emerging — cities and towns from all over Wisconsin. We have a fantastic mascot for this state. Bucky's fierce stance provided the perfect attitude and form on which to celebrate the bold history and industry of Wisconsin's people and places. As a graphic designer, I've always been interested in the artistry and craftsmanship of vintage lettering — in books, on old signs, labels and packaging. 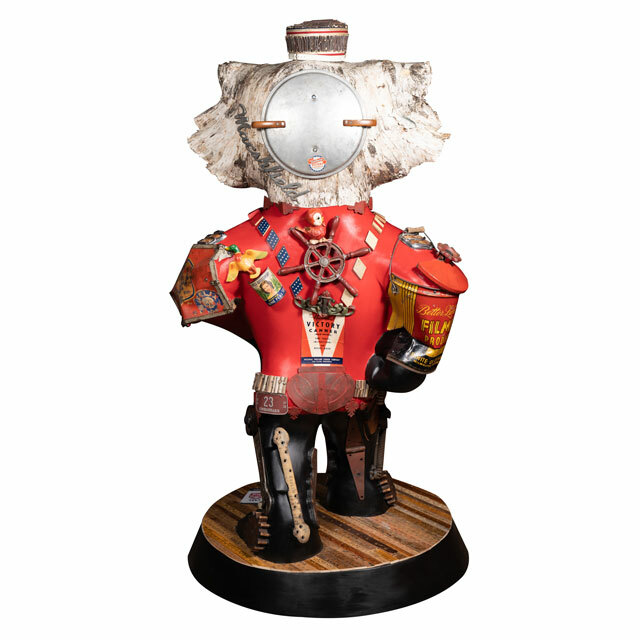 I also prefer to use vintage materials and originals in my assemblage work, because of the character each piece possesses — it gets all the more interesting when I use a large quantity of them together. I love working in large scale, so I was thrilled to be included among the artists for this event. Thank you so much for bringing Bucky on Parade to Wisconsin!